Gusto Giving is a way for employees who are paid by Gusto to make one-time or recurring donations directly from their paycheck. We partner with FirstGiving to support over 8,000 verified non-profits through the program, and I wrote a Medium post a while ago that shows you how easy it is to set up these donations (really, it takes less than 30 seconds!). Employers can also choose to match the donations their employees make. The $1 million milestone is just the tip of the iceberg. We know that people are eager to support the causes they care about, and Gusto Giving makes donations easier than ever before because the payment is automatically routed from the employee’s paycheck. The magic here is in recurring donations — when a non-profit has a predictable income stream, they can be run much more efficiently. Recurring donations are not the norm for most organizations though. Many non-profits receive large influxes of donations all at once, which makes budgeting and forecasting hard because the organization can’t assume the same amount of money will come again in the future. We created Gusto Giving to help fix this: employees can route part of their pay to a charity with just a few clicks. The amounts can be small, such as $10 per paycheck, and employees can set up as many of these donations as they’d like. Ex. $10 to Red Cross, $15 to ACLU, etc. Personally, I donate to the San Francisco Food Bank every paycheck. Employer matching has also been a special part of the program. Many larger companies have these types of programs, but our focus at Gusto is on small business. With Gusto Giving, a three-person company can have a matching program for employee donations, and the employer can choose the max amount the company will donate. I love the following quote from Alison Paris, co-founder of Parisleaf, a creative studio in Gainesville, Florida. She sees Gusto Giving as an opportunity to become closer with her team members, so she’s matching donations up to $100 per employee each year. We’ve also seen countless examples on social media from employees that have been empowered by this program. As Gusto grows bigger, we talk often about our ambitious goals, but it’s equally important to us that we are proud of the way we achieve our goals. Our mission is to create a world where work empowers a better life, and that is all about people. 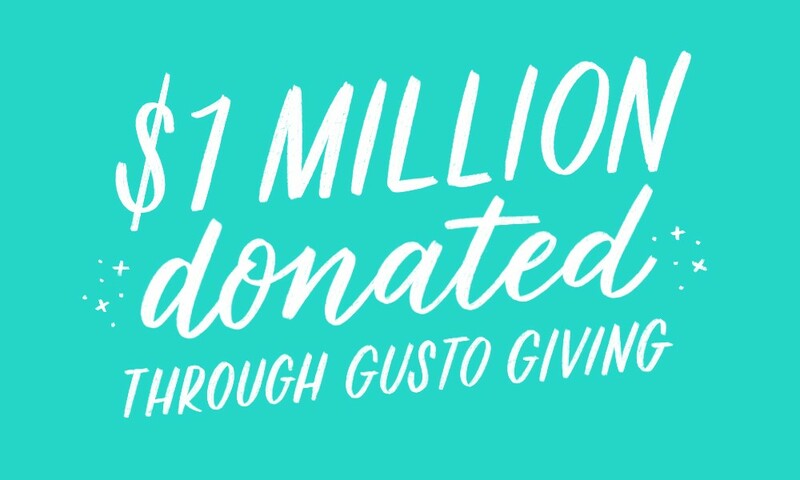 I’m incredibly proud of the impact Gusto Giving has had over the past few years, and to be at this $1 million dollar milestone. I can’t wait to celebrate $10 million donated, then $100 million, then $1 billion donated, and beyond — this is a long term journey for us and we’re committed to Gusto Giving scaling for many decades to come. P.S. As a part of the recent Gusto Small Business Road Trip, we visited customers across the country, including 11 winners of the #ExtraMileAward. 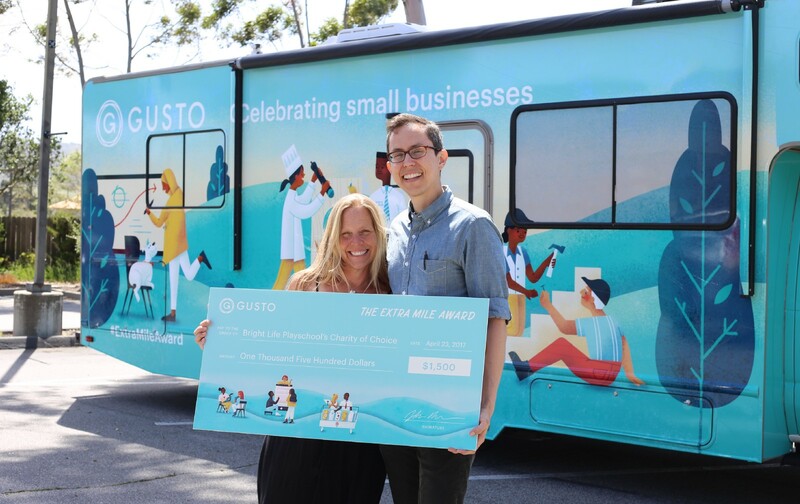 Each of these small businesses received $1,500 from Gusto to donate to a charity of their choice. Congrats to all of the recipients! We’re proud to celebrate the impact small business has on America.